Back in the days of scheduled double-headers, some of the biggest draws in New York City baseball were the returns of the prodigal sons – the Dodgers and Giants, in town to face their still vastly inferior supposed reincarnation, the New York Mets. Shea, the new stadium in Queens, probably saw its first record-breaking crowds when the California teams came to town. My dad and his friends, baby-boomers all, were just old enough to have developed attachments to the Giants and Dodgers before they left for the West Coast (my dad was almost always the lone Giants fan, the rest thoroughly Brooklyn and thoroughly Dodgers, but now all united under the hybrid orange and blue Mets; I am eternally grateful that I can claim Willie Mays as part of my baseball heritage). Between trying to develop an attachment to the new team and still holding on to the old one (or in the case of most Dodger fans, cultivating deep bitterness), they attended many of the California-teams vs. Mets series in the mid-late 60’s. On May 31st, 1964, on their way back from the Chava**, Ricky (the Giants fan), Donnie, Woody and Joey, decided to go straight from Port Authority to Flushing for that Sunday’s double-header against the Giants. The Giants took the first game 5-3. After a couple hours’ break, the two teams resumed play, fresh pitchers on the mound but also lots of increasingly tired fielders and batters. Tied at 6 in the ninth inning, my dad decided it was well past time to head back home to Rockaway – still a junior at Far Rockaway high school, he had some non-Socialist-Zionist homework to attend to, and a mother who probably preferred to see him before she went to sleep. The long journey back took him on the #7 into the city to Times Square to catch the #2 Downtown all the way to the Junction, the last stop in Brooklyn, where he’d only arrive to wait for his last leg, the Q35 down Flatbush and over the bridge (now actually officially called The Gil Hodges Bridge, but no one calls it that, it’s still the Marine Parkway Bridge). For all those out there for whom Rockaway is recently in the cross-hairs, just remember this journey – those of us who grew up in Rock lived sooo far from the rest of the world. It was pretty, but god it was far. Though now the pain comes on summer Sundays, when you have to leave Rockaway to return to the city. Funny how that happens. After finally arriving in Rockaway, my dad ate dinner, did some studying for the Regents and then flicked on the TV to catch the game’s highlights on the 11PM news. The game was still on. This game, which finally ended in the 23rd inning, would be the Mets first extra-inning game at Shea and the longest doubleheader in history (the second game alone lasted 7 hours and 23 minutes). Oh and the Mets did lose the second game too (despite a pretty impressive triple play in the 14th) . 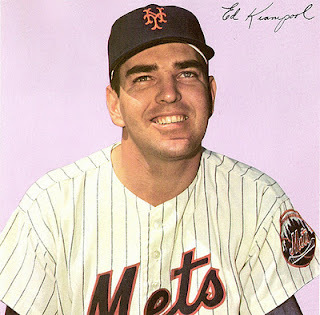 Still only 1964, 1969 was a universe away, the mere 5 years belying the actual gulf between the Mets’ first years and their Miracle Mets Word Series victory in ‘69 . After a recent 17 to 1 victory over the Cubs, Gary Cohen reminded the viewers of a favorite ’64 Mets legend. Back then if you wanted to find out the score of a game after it ended and before the next day’s paper, your best bet would be the sportsdesk at the local paper. Only a few days before the May 31 double-header, the Mets very uncharacteristically routed the Cubs with a final score of 19 to 1. As the story goes, a fan called a local New York paper to get the score. When he was told they scored 19 runs he paused for a good few second before asking: Did they win? 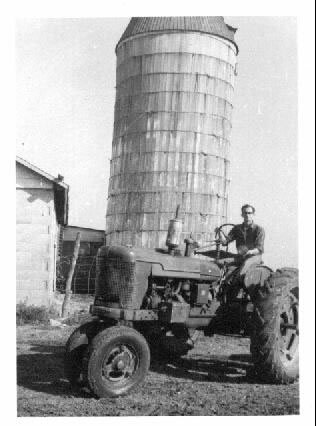 ** The Chava (Hebrew for Farm) was a working farm in Hightstown, New Jersey, created in the early part of the century to prepare young socialist Zionists for their future life on a kibbutz. Among the many luminaries who supported the mission of the Chava and its ideological visions for Israel, was Albert Einstein, who lived and worked nearby in Princeton. Having declined the offer to become Israel’s first President (an honorary title mostly), Einstein was still very much invested in the new country’s future. Ricky, Woody, Donnie and Joey spent many weekeneds at the Chava throughout high school and after and would all, with the exception of Joey, eventually emigrate to Israel and live on Kibbutz Lahav. This entry was posted on July 9, 2012 at 9:50 pm and is filed under The New York Mets. You can follow any responses to this entry through the RSS 2.0 feed. You can leave a response, or trackback from your own site.